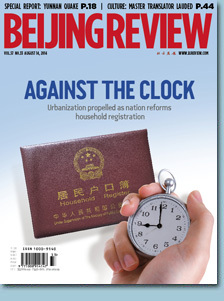 The State Council unveiled new guidelines that reform China's household registration, or hukou, system on July 30, which state that urban and rural residents will no longer be registered separately, a move to put an end to a dual household registration system that has divided the nation into rural and urban populations since the 1950s. One objective of this round of household registration reform is to help around 100 million migrant workers and other rural residents to settle in towns and cities by 2020, allowing them to enjoy public services on par with city residents, said Huang Ming, Vice Minister of Ministry of Public Security, at the press conference announcing the guidelines. Official statistics show that China had 174 million farmers who worked in cities and towns away from their home by the end of June. Another objective is to set up a more efficient household registration system, Huang said. "Such a system is expected to facilitate social management and the provision of public services as well as guaranteeing citizens' rights," he said. The guidelines also said that towns and cities should relax restrictions on household registration according to the local conditions and expand basic public services to cover all permanent residents. 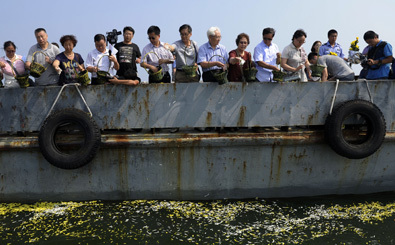 Huang said that the Central Government is carrying forward the reform with unprecedented determination. "This round of reform is distinct in that it is a comprehensive overhaul of the household registration system, whereas previous reforms were usually partial adjustments," he said. The guidelines mark a new step in China's urbanization drive. Currently, China is still going through a rapid process of urbanization. Relaxing restrictions on urban hukou will help migrant workers and their families settle in towns and cities and enjoy equal social benefits with locals. In statistical sense, permanent urban residents refer to people that have resided in towns and cities for at least six months. They include people with or without urban hukou status. Official data show that from 1978 to 2013, the percentage of permanent urban residents in China rose from 17.9 percent to 53.7 percent. Currently, residents with urban hukou only make up 36 percent of the total population. In the same period, the number of cities grew from 193 to 658, with the number of townships increasing from 2,173 to 20,113. The urbanization trend is poised to continue. In March, the State Council released the National New-Type Urbanization Plan (2014-20), which estimated that by 2020, 60 percent of the population will be urban residents, while 45 percent of the total population will be residents with urban hukou. These data suggest that currently, 17.7 percent of the total population now live in cities and towns, but are not registered as urban residents, and hence are not entitled to welfare and benefits exclusive to those with local urban hukou. Up until about 36 years ago, China was a planned economy, and many of its social benefits were pegged to the urban hukou such as assigned work, rationed food, medical insurance as well as pensions and free government allocated housing. On the other hand, farmers—who collectively owned land—subsisted on earnings from their land and were not covered by some social insurance programs. As China transformed into a market economy, the government no longer assigned jobs, food, or free housing to urban residents. In recent years, various levels of governments have made efforts to expand social benefits to cover migrant workers. For example, migrant workers signing contracts with their employers are protected under Labor Contract Law. Their employers are obligated to give them unemployment, work injury and basic medical insurance. In Beijing, migrant workers have been covered under the same medical insurance as other urban employees since 2012. The Ministry of Education has also pushed public schools to accept the children of migrant workers. As of the end of 2013, China had approximately 12 million migrant children at the age of eligibility for compulsory education, more than 80 percent of whom were enrolled in the public schools of their towns and cities of residence, according to Liu Limin, Vice Minister of Education. Migrant children can also receive free vaccinations, said Wang Peian, Vice Minister of the National Health and Family Planning Commission. 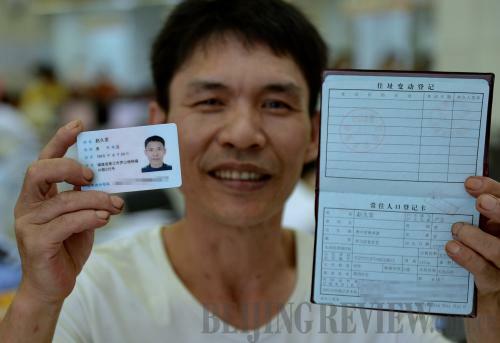 However, some social benefits remain available to urban hukou holders only. - How to Regulate Online Finance?